The Travel Hags, an Eastern Shore based travel club for girlfriends will spend the last weekend in April in Berlin, Maryland for a Travel Hag Adventure. For three days and two nights in and this group of 40 to 70 – ish women will engage in feeding their minds, bodies and spirits in and around Historic Berlin which is located just a few miles from Maryland’s Atlantic beaches. Arriving Friday afternoon, the Hags will check into the Historic (and haunted) Atlantic Hotel, then enjoy tea and dessert before they set out on a sunset kayaking cruise with private guide on Ayers Creek – a scenic flatwater paddle that weaves in and out of the Coastal Bay salt marshes. Once the moon has risen, the Hags will enjoy each other’s company around a bonfire near the creek (Courtesy of Ayers Creek Adventures). 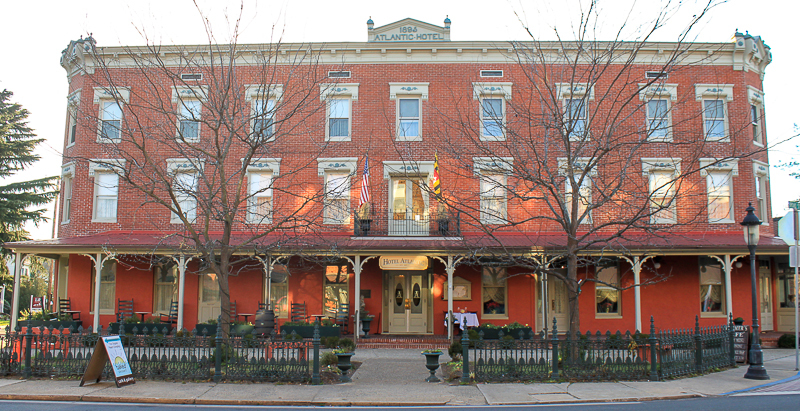 The Hags will sleep at the Historic Atlantic Hotel, hopefully undisturbed as this is known to be a haunted hotel where voices of children and the sound of their running and playing in the halls are often heard late at night. Friday should prove to be an especially interesting night as Hags are expected to imbibe a bit at the bonfire then return to their haunted hotel. Saturday morning will begin with breakfast in Berlin’s historic downtown, then Hags will depart for a day trip to Ocean City where they will be welcomed at the Ocean City Life-saving Station Museum. Then Hags head out for pictures and snacks on Ocean City’s historic boardwalk. (Pics will be posted on this Travel Hag blog and the Travel Hag Facebook Page). Saturday evening will conclude with dinner by sunset at an area bayside restaurant. Sunday morning will start with Bloody Mary’s and Sunday Brunch at the Globe Theater, with the rest of the day to explore the town, and hang out at their leisure before heading home. Send an email to tours@travelhag.com with your first and last name, address and telephone number. State that you want to be a part of the Berlin Adventure. Call the Atlantic Hotel and make your reservation 410-641-3589. Tell them you are with Mindie Burgoyne – the Travel Hag. Call Ayers Creek Adventures and make your reservations the sunset paddle – 443.513.0889. Tell them you are with the Travel Hags – Friday April 26th sunset tour. $35 for kayak rental, launch, pick up and private guide – also bonfire. Be prepared to pay for your meals and expenses for Tea and dessert ($20), Saturday night dinner (TBA – figure $25-30), breakfast at Rayne’s Reef, Brunch at the Globe Theater (see menus on websites), and money for any incidental expenses and shopping. Go to the TRAVEL HAG FACEBOOK event page and click JOIN. This is where we keep live updates on this Adventure and where you can ask questions. 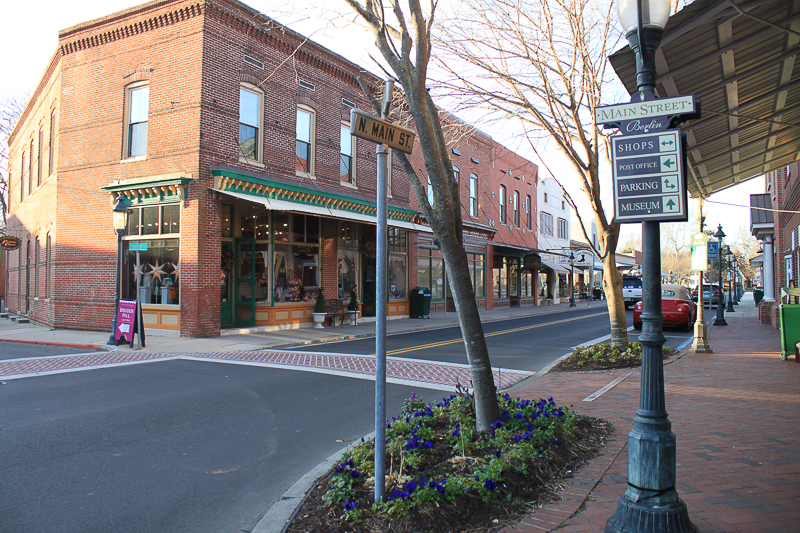 Berlin is located about 15 minutes from Ocean City, Maryland and has was settled as a village in the late 18th century. It’s now famous for its Victorian architecture and shopping district known for antiques and art. Berlin’s scenic charm has attracted film companies and producers to consider it as a setting for Hollywood movies. Both Tuck Everlasting (Disney) and The Runaway Bride (Paramount) used Berlin as the “hometown” location in the films. Travel Havel Adventures are travel opportunities for women to enjoy traveling together. They can be one-day adventures or longer. Each Adventure is focused on feeding the mind, the body and the spirit, and each Adventure is planned to support locally owned businesses. Travel Hag Adventures are always “green.” Travel Hags recycle, carpool and promote environmental preservation whenever possible. Though Mindie Burgoyne plans the trips and secures the locations and vendors, each Travel Hag pays her own way and there is no tour company taking a cut.